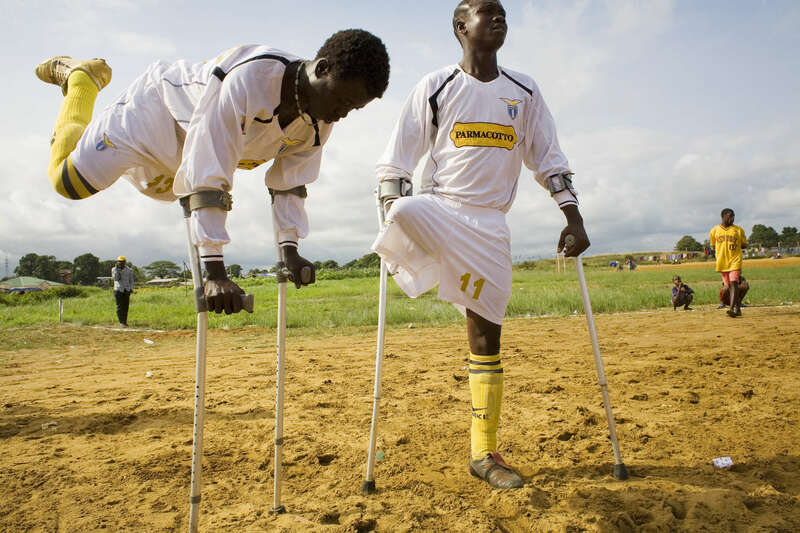 Players from LASA, the Liberia Amputee Sports Association football team warm up before a match in the capital Monrovia. Almost all of the players are victims of the genocidal war that wrecked the nation. Players who used to fight each other now play on the same side.